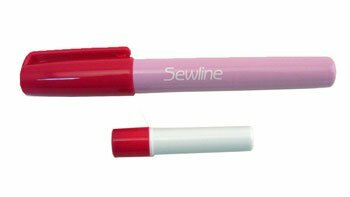 Sewline Fabric Glue Pen. Quick, convenient, effective way to hold fabrics for sewing. Easier than pins. Dries clear, water soluble.